AFTERBUZZ TV - Madam Secretary edition, is an "after show" for fans of CBS’s Madam Secretary. In this show, hosts Sterling Cates and April Whisenhant discuss episode 22. The show explores the personal and professional life of a maverick female Secretary of State as she drives international diplomacy, wrangles office politics and balances a complex […] The post Madam Secretary appeared first on AfterBuzz TV - The AfterShow Network Created by E! 's Maria Menounos & Keven Undergaro. AFTERBUZZ TV - Madam Secretary edition, is an "after show" for fans of CBS’s Madam Secretary. In this show, hosts Sterling Cates and April Whisenhant discuss episode 22. The show explores the personal and professional life of a maverick female Secretary of State as she drives international diplomacy, wrangles office politics and balances a complex […] The post Madam Secretary S:1 | There But For The Grace Of God E:22 | AfterBuzz TV AfterShow appeared first on AfterBuzz TV - The AfterShow Network Created by E! 's Maria Menounos & Keven Undergaro. AFTERBUZZ TV - Madam Secretary edition, is an "after show" for fans of CBS’s Madam Secretary. In this show, hosts Sterling Cates and April Whisenhant discuss episode 21. The show explores the personal and professional life of a maverick female Secretary of State as she drives international diplomacy, wrangles office politics and balances a complex […] The post Madam Secretary S:1 | The Kill Lists E:21 | AfterBuzz TV AfterShow appeared first on AfterBuzz TV - The AfterShow Network Created by E! 's Maria Menounos & Keven Undergaro. AFTERBUZZ TV - Madam Secretary edition, is an "after show" for fans of CBS’s Madam Secretary. In this show, hosts Sterling Cates and April Whisenhant discuss episode 20. The show explores the personal and professional life of a maverick female Secretary of State as she drives international diplomacy, wrangles office politics and balances a complex […] The post Madam Secretary appeared first on AfterBuzz TV - The AfterShow Network Created by E! 's Maria Menounos & Keven Undergaro. 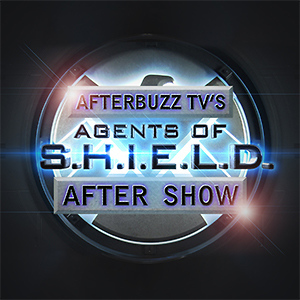 AFTERBUZZ TV - Madam Secretary edition, is an "after show" for fans of CBS’s Madam Secretary. In this show, hosts Sterling Cates and April Whisenhant discuss episode 20. The show explores the personal and professional life of a maverick female Secretary of State as she drives international diplomacy, wrangles office politics and balances a complex […] The post Madam Secretary S:1 | The Necessary Art E:20 | AfterBuzz TV AfterShow appeared first on AfterBuzz TV - The AfterShow Network Created by E! 's Maria Menounos & Keven Undergaro. AFTERBUZZ TV - Madam Secretary edition, is an "after show" for fans of CBS’s Madam Secretary.  In this show, hosts Sterling Cates and April Whisenhant discuss episode 19. The show explores the personal and professional life of a maverick female Secretary of State as she drives international diplomacy, wrangles office politics and balances a complex […] The post Madam Secretary appeared first on AfterBuzz TV - The AfterShow Network Created by E! 's Maria Menounos & Keven Undergaro. AFTERBUZZ TV - Madam Secretary edition, is an "after show" for fans of CBS’s Madam Secretary. In this show, hosts Sterling Cates and April Whisenhant discuss episode 19. The show explores the personal and professional life of a maverick female Secretary of State as she drives international diplomacy, wrangles office politics and balances a complex […] The post Madam Secretary S:1 | Spartan Figures E:19 | AfterBuzz TV AfterShow appeared first on AfterBuzz TV - The AfterShow Network Created by E! 's Maria Menounos & Keven Undergaro. 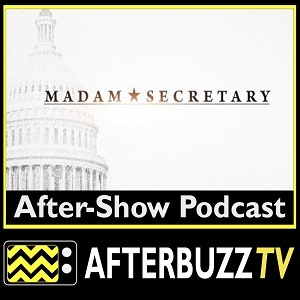 AFTERBUZZ TV - Madam Secretary edition, is an "after show" for fans of CBS’s Madam Secretary. In this show, hosts Sterling Cates and April Whisenhant discuss episode 18. The show explores the personal and professional life of a maverick female Secretary of State as she drives international diplomacy, wrangles office politics and balances a complex […] The post Madam Secretary appeared first on AfterBuzz TV - The AfterShow Network Created by E! 's Maria Menounos & Keven Undergaro. AFTERBUZZ TV - Madam Secretary edition, is an "after show" for fans of CBS’s Madam Secretary. In this show, hosts Sterling Cates and April Whisenhant discuss episode 18. The show explores the personal and professional life of a maverick female Secretary of State as she drives international diplomacy, wrangles office politics and balances a complex […] The post Madam Secretary S:1 | The Time Is At Hand E:18 | AfterBuzz TV AfterShow appeared first on AfterBuzz TV - The AfterShow Network Created by E! 's Maria Menounos & Keven Undergaro. AFTERBUZZ TV - Madam Secretary edition, is an "after show" for fans of CBS’s Madam Secretary. 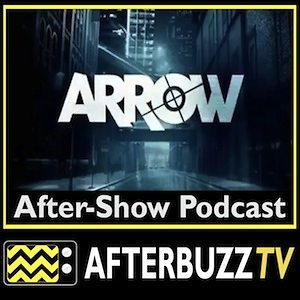 In this show, hosts Sterling Cates and April Whisenhant discuss episode 17. The show explores the personal and professional life of a maverick female Secretary of State as she drives international diplomacy, wrangles office politics and balances a complex […] The post Madam Secretary appeared first on AfterBuzz TV - The AfterShow Network Created by E! 's Maria Menounos & Keven Undergaro.